Get the highlights. Understand the benefits. If you’re looking to unify IT efforts through broadly integrated initiatives or multiple projects, the Unified IT ELA is your best option. You receive all the major Ivanti products for about the price of one additional product. No more protracted buying processes for each project. With the Unified IT ELA, all your user, endpoint, security, identity, asset, and service management projects get the green light faster—because you already have the technology. The ELA is currently available to organizations with 500 users or more. Choose either the Unified IT or Pick 2 ELA. Selecting the Pick 2 ELA option gives you all major products within two Ivanti product families. Whether you elect the Unified IT ELA or Pick 2 version, it’s a simple, high-value, user-based subscription that delivers the versatility to solve your greatest IT challenges. Plenty of effort and expense goes in to working with multiple vendors. But the experience extends beyond the various purchasing, support, maintenance, and compliance issues. It also impacts your budgets and how you show a return on your investment. Use any or all technologies from multiple product families to best fit your needs. Choose a two or three-year agreement without expensive renewals. Discounts from two ELA levels—additional discounts based on user count. ELA also available through channel partners. A user-based subscription makes calculations and projections easier. Forget the true-ups. Our true-forward process lets you grow without feeling the budget squeeze. So many vendors, so little time to build meaningful partnerships. Yes, the price is nice. However, you receive more when you go the ELA route. First, most vendor true-ups are costly and a major pain, but we make it easier to grow and stay on budget with "True-Forward" licensing. True-forward means you can exceed your licensing up to 20% of your contracted amount. On each anniversary we adjust your contract amount without back-charges. Second, you get Xtraction to build dashboards, and with the Unified IT ELA option, you receive a bonus—the top 10 connectors to third-party vendors' data sources. There's nothing more comforting than knowing what's going on in your environment—at a glance. More from your agreement, without the back-charges. ELA is the best way to get Ivanti Cloud. Xtraction Enterprise plus top 10 connectors. Many of our solutions are perfect for leveraging an ELA. Uplift security and software license compliance to mitigate risk. Know what's on your network and manage software and hardware vulnerabilities. Provide the right dashboards to the roles that monitor your security and license compliance and give them the ability to act—patch, report, and provide audit reports. You'll sleep easier and your company will steer clear of fines and threats to reputation. Migrate to Windows 10 and manage the insane cadence of updates. 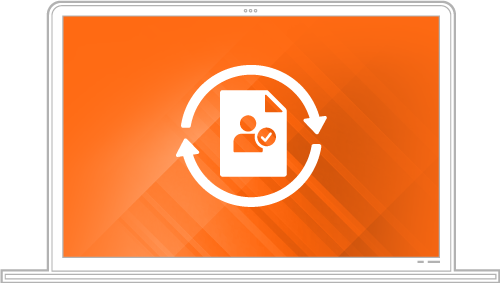 Make migrations easier by extracting profile settings and user files away from devices, laying down the OS and apps associated with the user, and then reapplying profile settings and user files seamlessly. Plus, Ivanti helps you set up an automated process for update rollouts, so you can deliver each Windows 10 channel to different groups on your own schedule. Trial, test, and consume without the worry of excessive network traffic. Accelerate security incident resolution without touching the device. Ivanti allows you to isolate a machine automatically after malware has been detected. Then you can diagnose the device, remediate, and reimage—all remotely—and place it back on the network once it's clean and functioning properly. 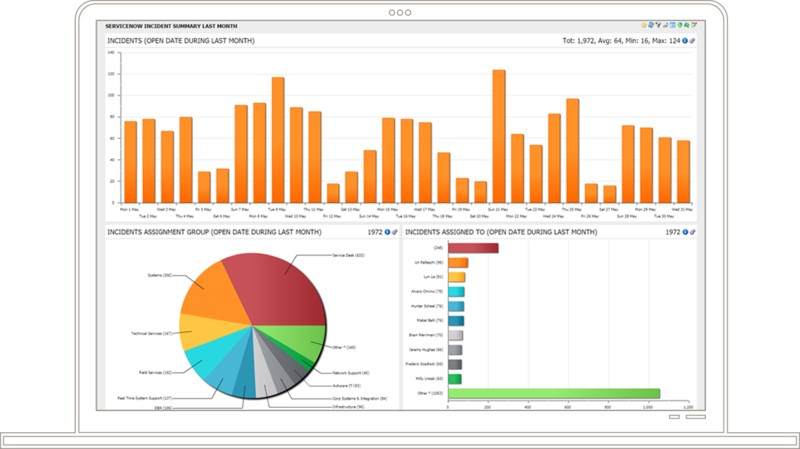 Quickly create visual dashboards that provide a consolidated view of your IT estate. The dashboards are easily connected to data from Ivanti products as well as the top vendors in the industry. Drill down to identify more detailed data to answer the toughest questions. Services, knowledge, software, and more in an end-user portal. Yes, your portal enables users, but the best part is what the sophisticated self-service catalog does for IT. It delivers automation, tracking, and visibility on the backend, so your management, compliance, and governing processes are upgraded. As an example, you can automate your software requests with approvals, reclaim unused software to optimize costs, and deploy software without any manual steps. Simplify provisioning and de-provisioning processes. Workers are given the right levels of context-aware access, helping them stay productive anywhere. As they change roles, the business remains secure as rights are revoked and updated. The solution provides automated identity workflows that are integrated with IT processes from asset, security, and service management.